Description: Have digital technologies transformed cinema into a new art, or do they simply replicate and mimic analogue, film-based cinema? 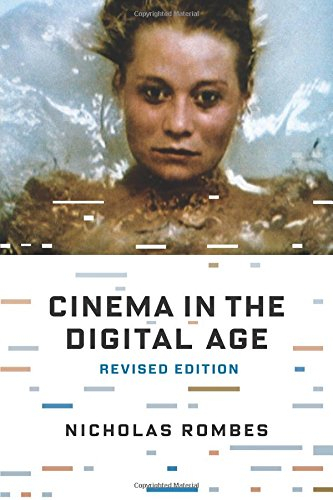 Newly revised and expanded to take the latest developments into account, Cinema in the Digital Age examines the fate of cinema in the wake of the digital revolution. Nicholas Rombes considers Festen (1998), The Blair Witch Project (1999), Timecode (2000), Russian Ark (2002), and The Ring (2002), among others. Haunted by their analogue pasts, these films are interested not in digital purity but rather in imperfection and mistakes-blurry or pixilated images, shaky camera work, and other elements that remind viewers of the human behind the camera. 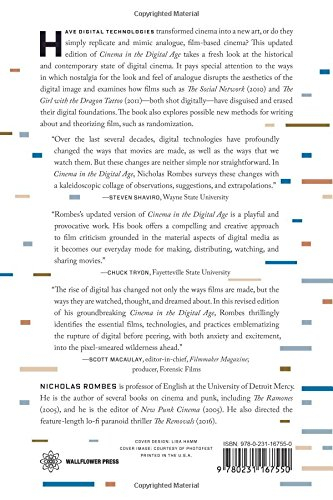 With a new introduction and new material, this updated edition takes a fresh look at the historical and contemporary state of digital cinema. It pays special attention to the ways in which nostalgia for the look and feel of analogue disrupts the aesthetics of the digital image, as well as how recent films such as The Social Network (2010) and The Girl with the Dragon Tattoo (2011)-both shot digitally-have disguised and erased their digital foundations. The book also explores new possibilities for writing about and theorizing film, such as randomization. Author Biography: Nicholas Rombes is professor of English at the University of Detroit Mercy. He is the author of several books on cinema and punk, including The Ramones (2005), and editor of New Punk Cinema (2005). He also directed the feature-length lo-fi paranoid thriller The Removals (2016).